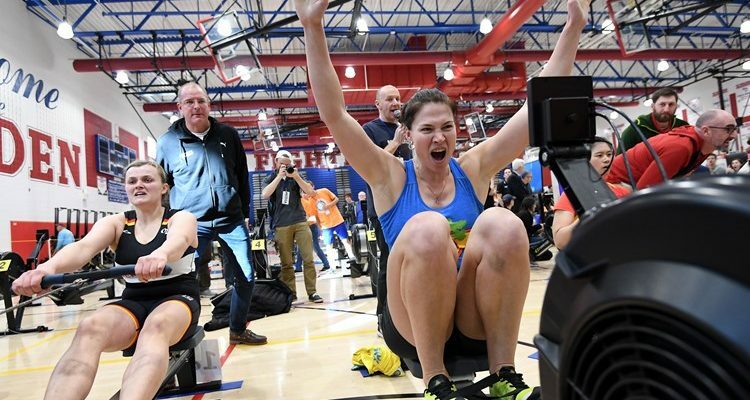 Three World Records were set at the first ever World Rowing Indoor Championships held in Alexandria, United States over the weekend. Olena Buryak of Ukraine won the open women’s category over the 2000m distance and in the process set a new World Record for the 30-39-year-old open women’s race. Her time of 6:26.1 was over two seconds faster than the former 14-year-old record. Buryak, a Ukraine national team rower, is also the World Record holder of the open women’s category making her the fastest woman in the world. Luisa Neerschultz of Germany was second in the open women’s race and China’s Rui Ju was third. The lightweight women’s race was won by Christine Cavallo of the United States in World Record time. Cavallo, 22, finished in 6:54.1 shaving 0.6 of a second off the former record. Coming in second was Emily Schmieg of the United States. The third World Record went to Andrew Benko of the United States. Benko broke his own record in winning the 50-54-year-old men’s open category. The Chinese team impressed in the under-23 open women’s category. They took out the top three spots with Huijuan Hu finishing first in a time of 6:36.8. Xingye Xu was second and Dongfang Zhao finished third. Winner of the lightweight men’s events at the 2017 World Games, Artur Mikolajczewski of Poland continued his indoor rowing success by finishing first in the lightweight men’s category. Mikolajczewski’s time was 6:07.4 and saw a very tight finish with Matthias Taborsky of Austria just two seconds back in second with Alistair Bond of New Zealand following very closely in third. The open men’s race was won by Jakub Podrazil of the Czech Republic. Podrazil is a two-time Olympian and has been competing internationally on the water for ten years. His time of 5:44.8 was nearly ten seconds ahead of Finland’s Joel Naukkarinen in the silver medal spot with Thomas Phifer of the United States taking third. There was just 0.7 of a second between first, second and third in the lightweight men’s under-23 World Championship race. Alexis Lopez of Mexico just pipped American Reid Noch to the line with China’s Zhenyu Yang taking bronze. For the lightweight women’s under-23 event, Chile’s Olympic rower and under-23 champion in the women’s pair, Melita Abraham recorded the fastest time with 7:10.5. Abraham was followed by Sophia Lewis of the United States with China’s Dandan Pan in third. The World Rowing Indoor Championships, which combined with Alexandria’s annual Erg Sprints, attracted over 2500 competitors from 33 countries. It was organised in partnership with Concept2 indoor rowing machines. For more information and full results here.